In this episode of Simplify, Caitlin talks to The Second City executive Kelly Leonard about how improv-based skills can be applied to the business world. Effective collaboration, innovative thinking, and constructive problem-solving can be major struggles for many teams, regardless of industry. But for those who really want to fix these issues, it’s time to look beyond how other companies work and turn to improv comedy ensembles for inspiration. After all, they’ve literally taken teamwork and turned it into an artform. Kelly Leonard is the Executive Director of Insights and Applied Improvisation for The Second City. 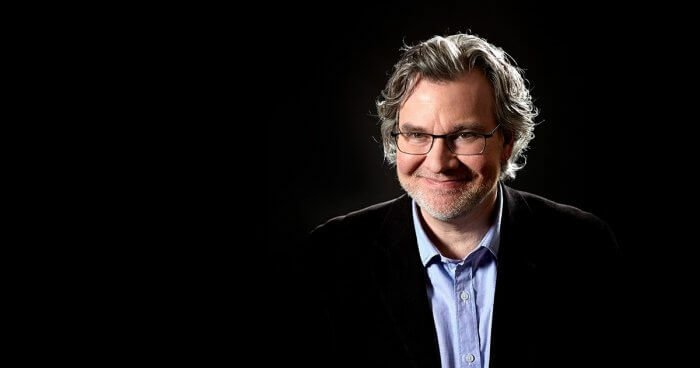 From 1992 to 2015, he was the Executive Vice President of Second City and The President of Second City Theatricals, hiring talent, directing shows and producing all the live theatrical work with such notable performers as Stephen Colbert, Tina Fey, Steve Carell, Amy Poehler, Jason Sudeikis, etc. In 2015, Kelly co-wrote a book with Tom Yorton called Yes, And on how to apply improv-based pedagogy to businesses and individuals to make their working lives better. He lives in Chicago with his wife Anne Libera and their children Nick and Nora. In this book, executive coach, motivational speaker, and psychologist Dr. Murray Nossel explores how storytelling can enhance business communication, transform workplaces and help your business thrive. How to be Heard identifies proven ways to become a powerful speaker, the kind that commands people’s attention and keeps them hanging on your every word. Author Julian Treasure also examines the steps people can take to improve their listening skills, allowing them to better understand what’s being said and making the listener feel that they’re being heard. These tips can help improve both communication skills and our most important relationships. Work Rules! takes us through the inner workings of Google, one of the most powerful and successful companies in the world. Bock tells us precisely how Google pulls off this feat while consistently being ranked as the best employer in the world. If you want to say hi to Caitlin and Ben in the meantime, you can find them on Twitter: @CaitlinSchiller and @bsto. Research and production assistance by Nat Darozhkina and Terence Mickey, sound and editing by Ben Jackson and Ody Constantinou.